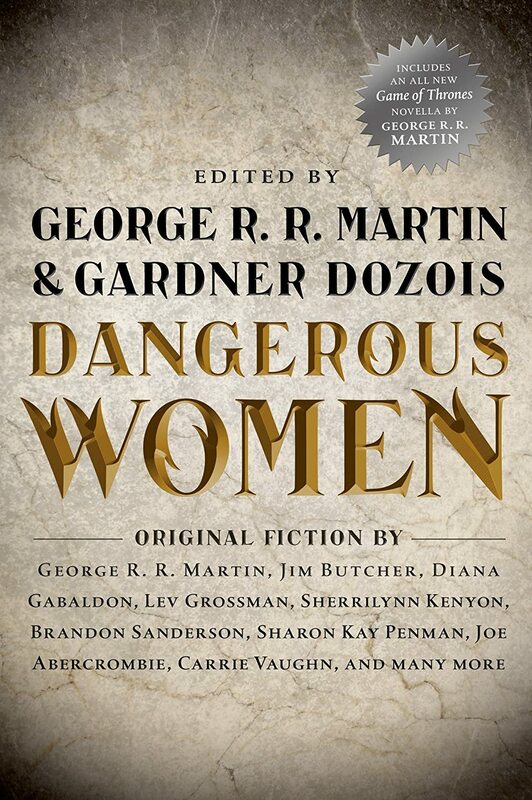 This is the cover art for the upcoming DANGEROUS WOMEN anthology, edited by George R.R. Martin and Gardner Dozois, which will include Diana Gabaldon's story, "Virgins", about Jamie and Ian as young mercenaries in France, before Jamie met Claire. My immediate reaction: at first glance, this cover looks sort of bland. <shrug> I do like the "barbed" look of the lettering used in the title, but I doubt that would make me pick it up, if I didn't already know that Diana had a new story in this anthology. What do the rest of you think? You can pre-order DANGEROUS WOMEN here (Amazon.com) or here (Barnes & Noble), but please keep in mind that the publication date is not yet set in stone. Note to readers outside the US: I have no information yet about availability of this anthology in other countries, but we should learn more in the coming months. In case you're wondering, Diana finished writing "Virgins" in March 2012. You can see excerpts from the story (and links to #DailyLines about it) here. Karen, I agree with your impression of the cover. I thought of a cement/stone headstone at first and the lettering looked ghoulish. I'm assumming it has something to do with one of the stories contained in the book?. I like it a lot. They needed to put all that text in there, so it would have been cluttered with a pic competing as well. It's moody, sharp and evocative. Thanks for putting up here, Karen. I agree-very bland! How about some bright colors or graphics to suggest danger, this says YAWN to me. Almost looks like a textbook. Good thing they put barbs on the letters.